As the largest city in Washington State, Seattle offers a wonderful mix of high technology excitement and breathtaking natural beauty. The city’s thriving energy awakens as nighttime comes, giving you more adventures to enjoy and opportunities to explore when it comes to entertainment options. Here are our recommendations for the most fun things to do in Seattle at night. 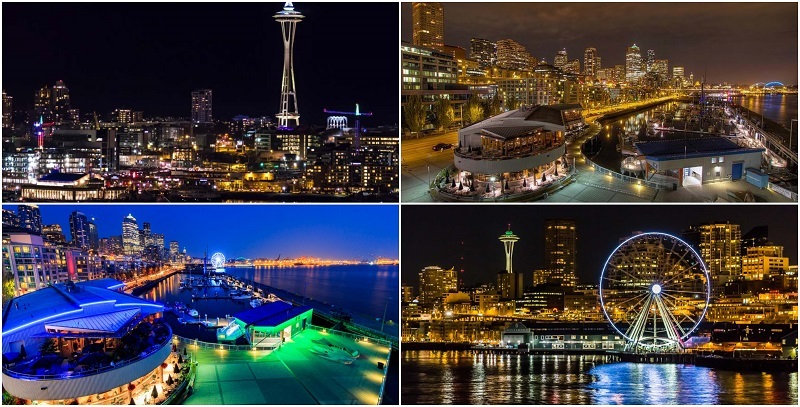 Your trip to Seattle will not be complete without a trip to the iconic Space Needle, where a spectacular view at night awaits you from the 520-foot high observation deck. The views will give you a clear idea about the locations of specific landmarks in the city. See stunning views of the Olympic Range mountains, Mount Rainier, and Lake Union. Interpretative displays can be zoomed in by using high-powered telescopes, letting you identify major activities and locations in the Seattle area. The Space Needle is open daily until 7 pm. 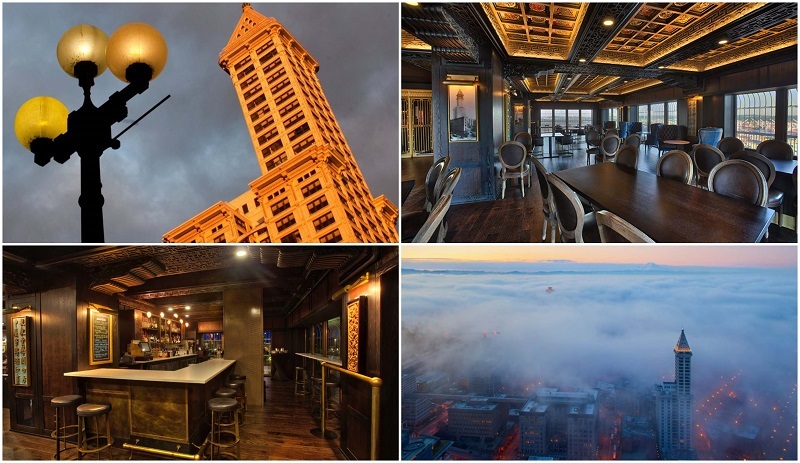 The Smith Tower offers unparalleled 360-degree views of the city and beyond, from the iconic open-air deck which is accessible using the renowned Otis elevators. Check out the Legends of Smith Tower exhibits, which take you back to a time when locals in Seattle were just learning about technology and accepting early Prohibition. Before you leave the Tower, try out refreshments such as craft cocktails and local brews in the speakeasy-patterned bar. This is open Tuesdays to Sundays until 10 pm. Observatory & Bar open Sundays, Tuesdays to Wednesdays until 11 pm; and Thursdays to Saturdays until 12 am. Feed your passion for science in this 21st-century museum spanning 7 acres of the north side of the Seattle Center. 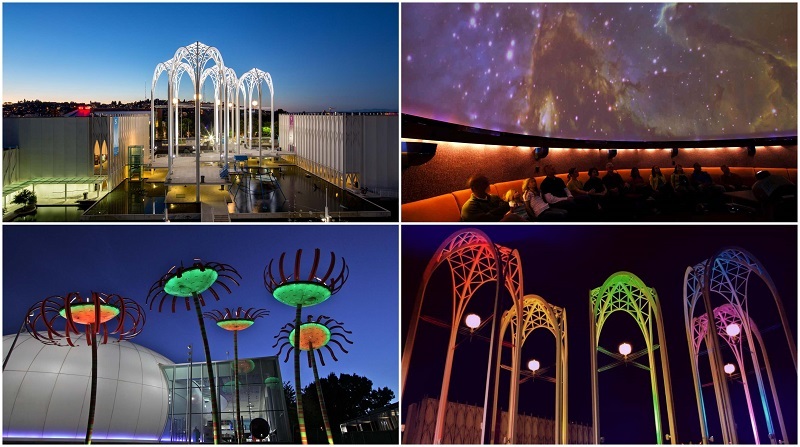 As night comes, the museum becomes even more interesting with PacSci at Night activities, including laser shows and lectures, updates on the latest in biotech, IMAX feature films, and virtual reality exhibits. There are also events exclusively for adults. PacSci at Night has some activities starting as late as 10:30 pm. Take a break from exploring the city by participating in an escape game or two. The idea is to have you and your friends locked in a room; in order to escape, you must solve a series of riddles and puzzles within one hour. 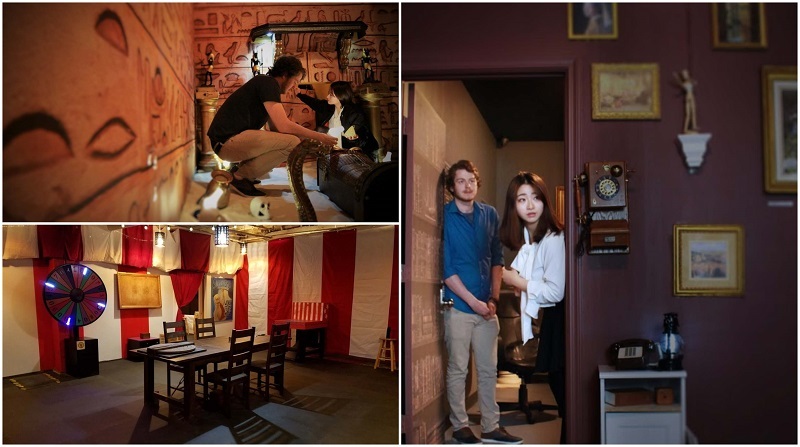 Spend your time indoors with exciting escape game room themes, such as Ancient Egypt, Dream Traveler, Prison Escape, and Magic Wonderland. Last game starts at 8 pm and goes for 1 hour. 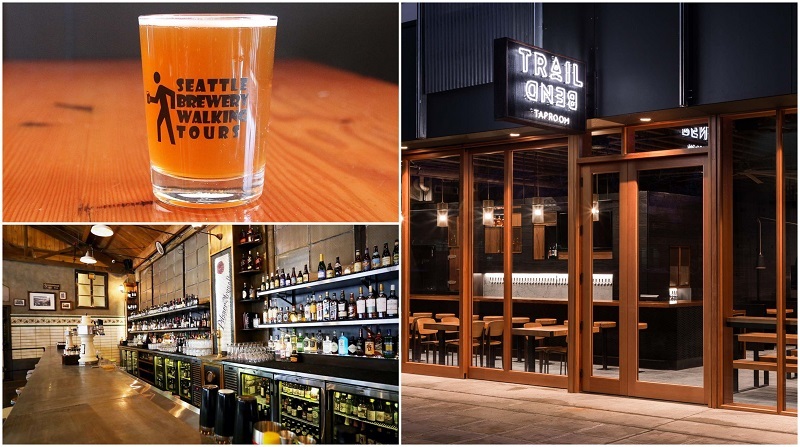 This tour to Ballard, one of the most celebrated brewing districts in the world, offers an opportunity to learn more about the history of brewing, as well as traditional brewing styles. Visit the warm, friendly neighborhood pubs for unique tastes, and get ready to take a sneak peek (and sample their signature brews) into three amazing breweries in 3 hours. Other brewery tours will take you to the interesting Fisherman’s Terminal surrounded by industrial buildings and warehouses where one of the breweries you will visit offers sample ales with a distinctly European twist. The 3 hour tour starts at 4 pm. Looking for a unique (and creepy) way to explore Seattle? Then this combination ghost tour and pub crawl is your perfect choice. This 2.5-hour walking is guided by a costumed local who will show you the most haunted places in the city, including Pike Place Market. Your guide will make things interesting by telling stories about the spirits that still haunt the spooky locations. For another type of spirit-hunting, you will visit 3 local pubs to enjoy a few drinks as the guide continues to share paranormal tales in and around Seattle. Departure is at 8:30 pm and goes for 2.5 hours. Go on a cruise to enjoy the city’s scenic views from a top recreational spot, Lake Union. 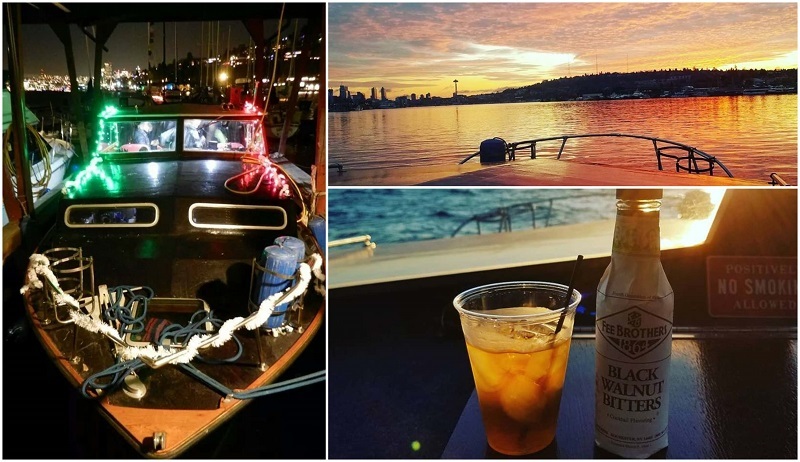 The boat’s captain and a bartender will ensure that you are comfortable and entertained with information about Seattle during this 2-hour cocktail cruise. From the water, see the awe-inspiring sights of the Space Needle, the Fremont Bridge, Gas Works Park, and St. Marks Cathedral. You will also get to closely see seaplanes taking off and landing as you cruise past several mega yachts, cruisers, and floating homes (including the one from “Sleepless in Seattle”). Last departure is at 8:30 pm. Explore the historic waterfront area on this 1-hour cruise that includes a riveting narrative about the history of Seattle, with the city’s majestic skyline providing a fascinating backdrop. Get ready to see scenic and celebrated spot such as the Colman Dock, Pier 90, Alki Beach, the Space Needle, the Great Wheel, Edgewater Inn, Seattle Aquarium, and the surrounding Cascade & Olympic Mountain ranges. Depending on the month, the last tour starts as late as 8:05 pm, cruising the harbour for 60 minutes. 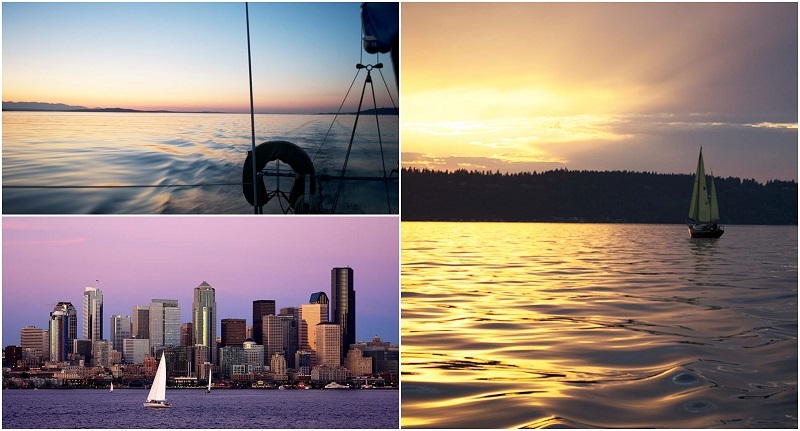 One of the best ways to experience the scenic Puget Sound is on a private 3-hour sailing trip. As you begin the adventure from the Shilshole Bay Marina, you will see the yachts and huge boats docked nearby, outlined by the dramatic Seattle skyline as the sun goes down. The wind direction at that particular evening will dictate the direction the sailboat will take; regardless of the direction, you are assured of amazing views of both the city skyline and the water. Sunset Sail tours last for 3 hours – departures April 28th – May 31st at 5:30 pm; June 1st – July 31st at 6:00 pm; August 1st – August 16th at 5:30 pm; August 17th – August 31st at 5:00 pm; and September 1st – September 15th at 4:30 pm. 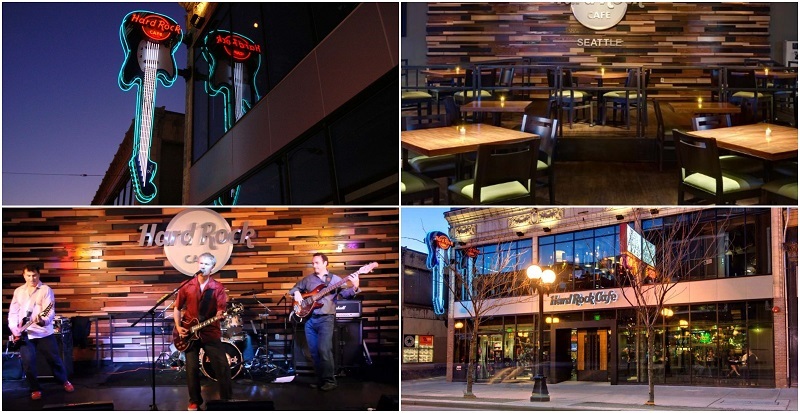 Treat yourself to an all-American dining & music experience at the Hard Rock Café Seattle, located in the heart of downtown. This Hard Rock features a 14,000-square foot café that can comfortably seat 450 guests, a memorabilia shop, and a bustling bar. Making this Hard Rock branch extra-special is the Cavern Club on the second floor, where local and national touring acts showcase their outstanding talent aided by cutting-edge audio systems. Open Sundays to Thursdays until 11 pm; Fridays & Saturdays until 12 am. Looking for a unique way to spend your evening in Seattle? 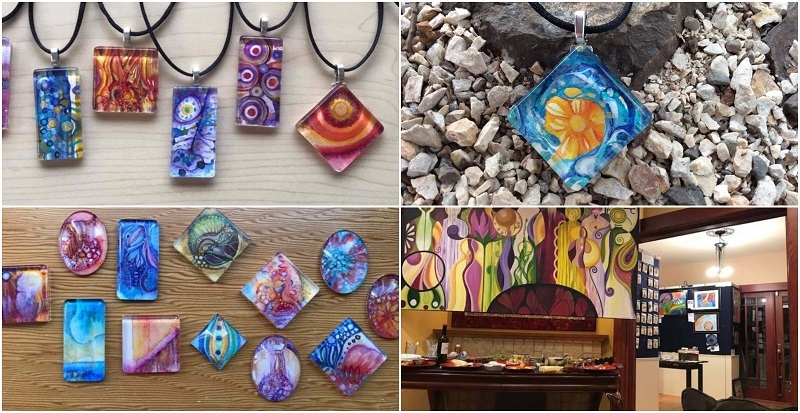 Learn basic watercolor painting techniques and turn your masterpiece into a pendant. This 3-hour workshop is done in the artist’s home studio in Queen Anne, close to downtown. Let your inner artist bloom as you paint in a friendly, warm atmosphere, with professional quality art materials and light refreshments included. Available Mondays to Fridays, 6-9 pm. This is your chance to experience the thrill of flying like a bird, without actually jumping out of an airplane. 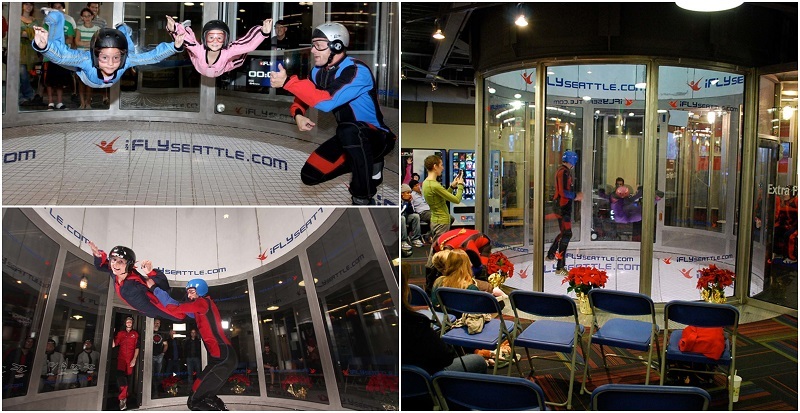 The indoor skydiving experience in iFLY Seattle uses a vertical wind tunnel to generate a wall-to-wall air cushion that will keep you afloat. No experience is necessary – you just need to take a short training session from a flight instructor prior to being airborne, and you can then be ready to enjoy the power of flight. Last arrival is at 10 pm, with sessions running for 75 minutes. 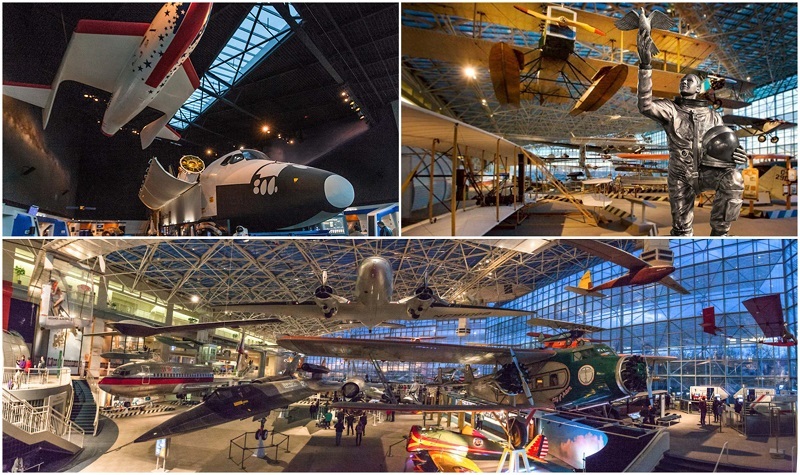 Marvel at the development of air travel technology throughout the years at the Museum of Flight – the world’s largest non-profit space and air museum. This museum showcases more than 160 space and aircraft, including the most basic Aeronca C-2 to the Supersonic Concord and Boeing 787 Dreamliner. In the Aviation Pavilion, you will get the chance to tour Air Force One. Head to the Great Gallery to board a US Air Boeing 737, and get the chance to chill in business class or get up close & personal with the actual cockpit. Every 1st Thursday of each month, the museum is open at 5-9 pm with free admission. See Seattle from a different perspective, this time onboard the Great Wheel – one of the US’ biggest Ferris wheels – located on Pier 57. Enjoy an unhindered view of the city as you stay cocooned in a completely-enclosed gondola that can accommodate 8 people. 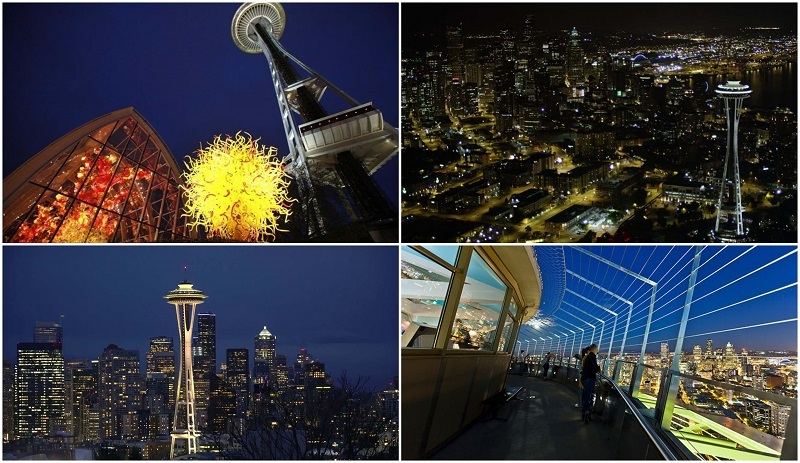 Watch Seattle in the dark from the top, as the city is enveloped by twinkling lights while thrumming with nighttime energy. Open Sundays to Thursdays until 10 pm; Fridays & Saturdays until 12 am. The Seattle Waterfront is one of the most popular tourist spots in the city. This dynamic area is bustling with restaurants, shops, and sidewalk stalls selling an eclectic mix of merchandise. This is a must-visit especially at nighttime when the area is bathed in twinkling lights. There is no shortage of activities in and around the Waterfront. Take a ride on the Seattle Great Wheel and enjoy stunning city views. Visit the Seattle Aquarium or feast on fresh seafood offered by some of the best restaurants in the area. Hundreds of thousands of energy-efficient LED lights form the silhouettes of wild places and wild animals in 2D and 3D at the Woodland Park Zoo. The dazzling exhibits are located on the North Meadow and the zoo’s pathways, with fire pits to keep everyone warm and cozy. Food options to keep hunger at bay include pizza, fresh donuts, hotdogs, hot chowder, and hot chocolate. Those who are 21 years old and above can choose from a selection of wine, mulled wine, spiced hot cider, and beer. 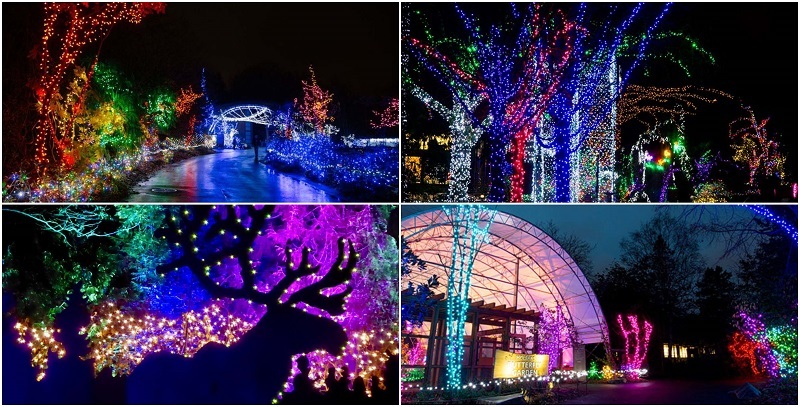 Wildlights can be enjoyed nightly from 5:30 pm to 8:30 pm, November 23 to January 5. 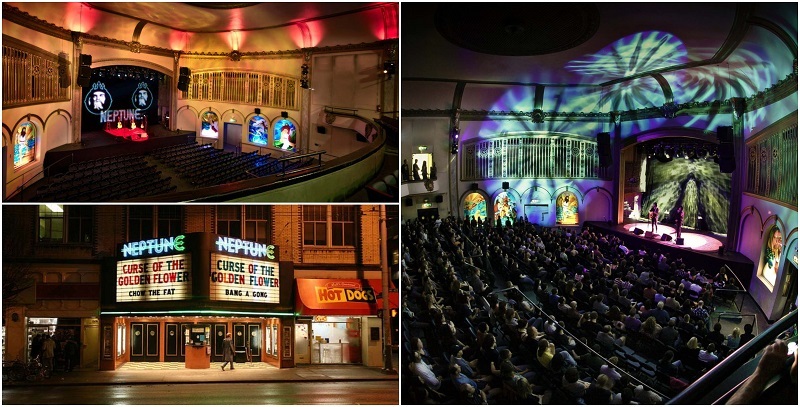 Spend an evening watching a show at the historic Neptune Theatre, now celebrating its 90th year in operation. Located in the city’s University District, the theatre started out in as a single-screen movie house in the early 1920s. A renovation in 2011 opened the venue to hosting more performing arts opportunities, including film screenings, arts education, as well as various music and dance performances. Start times depend on the featured shows. Fill your evening with laughter – yours and from the people around you – by going to Laughs Comedy Club, where the best stand-up comedians and performers are guaranteed to keep you entertained for hours. The spacious venue can comfortably seat 200 guests, with every seat offering an unobstructed view of the hilarious performances on the stage. Wednesdays are “open mic nights” when newbie comics are encouraged to try out their acts in front of an enthusiastic audience. 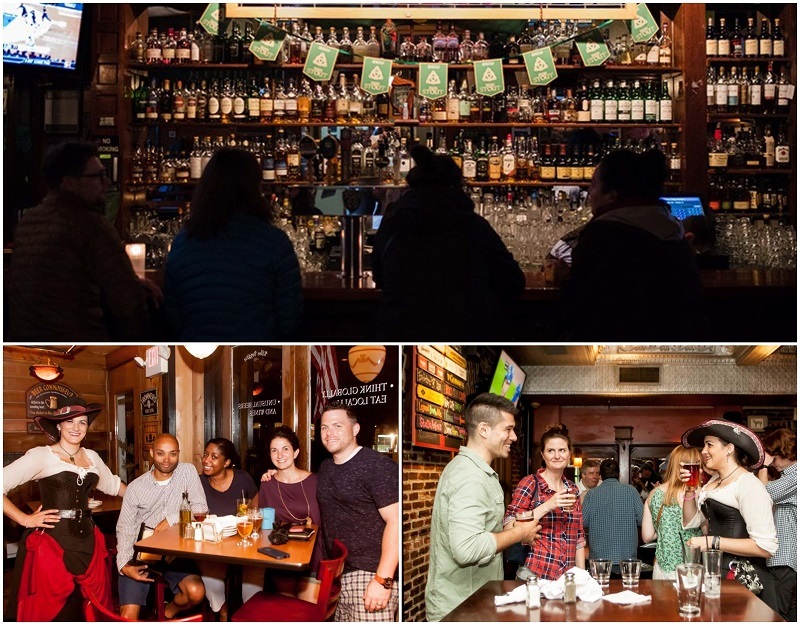 Explore the bustling Capitol Hill neighborhood by going on a personalized nightlife tour, letting you discover the vibrant Seattle bar culture under the guidance of a local host. This evening will introduce you to this neighborhood’s underground speakeasies, wine bars, and craft beer breweries where you can sample the best cocktails, wine, and local brews. 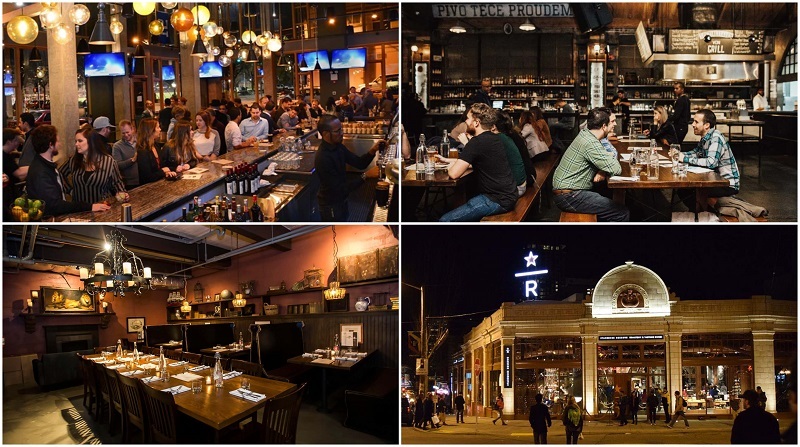 Based on your personality, your host will guide you to the bars you will most likely enjoy, so you can spend the evening soaking up the laid back Seattle bar atmosphere – just the way the locals do it. The city of Seattle comes awake at night and becomes even more beautiful under the twinkling lights. Choosing how to spend your evening poses a wonderful challenge, given the host of incredible options that make Seattle truly a delight to explore. Whatever activity you choose, you will be pleasantly surprised at what the Emerald City has to offer once the sun sets.